While spending a week soaking up the sun, making new friends and eating sparsely from my ice chest, I also painted at the San Onofre surf beach. 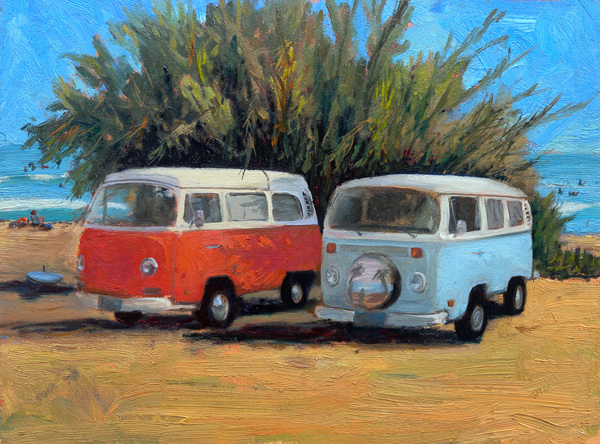 I want to share one of the images here called “Two for the Show.” When I asked Jack, my VW man what year the red bus was, he says “Its obviously a 71, you got it all there.” The blue one is mine, which is a 77. Fun times spent at San Onofre.